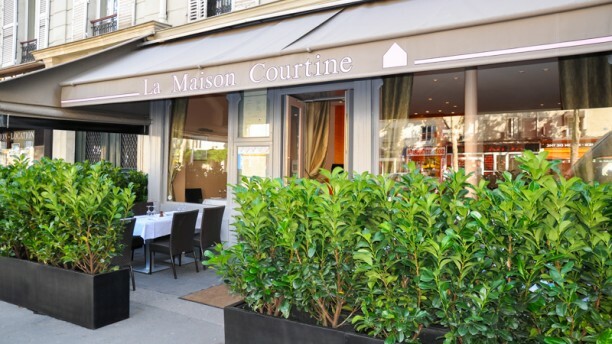 Group Special: -20% on 3Menu Groupe 41," or 32,80 € instead of 41,00 €! Crème Brûlée Chocolathé "Marco Polo"
"La Maison Courtine opens the doors of its establishment with a tangy decor to share a moment of tranquility under the sign of gastronomy. You will be welcomed with a smile in a friendly atmosphere to discover rich and varied menus that will titillate your taste buds. Indulge in some excellent scallops, semi-cooked duck foie gras, cream of lentils with foie gras, and for sweets, millefeuilles caramelized with vanilla and cream brûlée with Tonka beans." Varied menu with dishes prepared with care and sophistication. A terrific value. I have e lived in Paris for nearly 2 years and I just keep coming back! It's a perfect little "off-the-beaten-path" French experience-great food, sweet setting and very nice welcoming staff. Don't hesitate to book- you can't possibly be disappointed! Amuse-bouche, bread and fromage not at the level of the rest. Entrée and main were good. A good offer for a very decent price. A nice restaurant, not extraordinary, for a good price. Cozy & excellent food quality. Service was a bit slow at the start but staff were very friendly and helpful. The foie gras was delicious and meal was overall good value. Would recommend.